Picture the scene: mild weather, coastal breezes, gorgeous scenery and cost-effective activities. 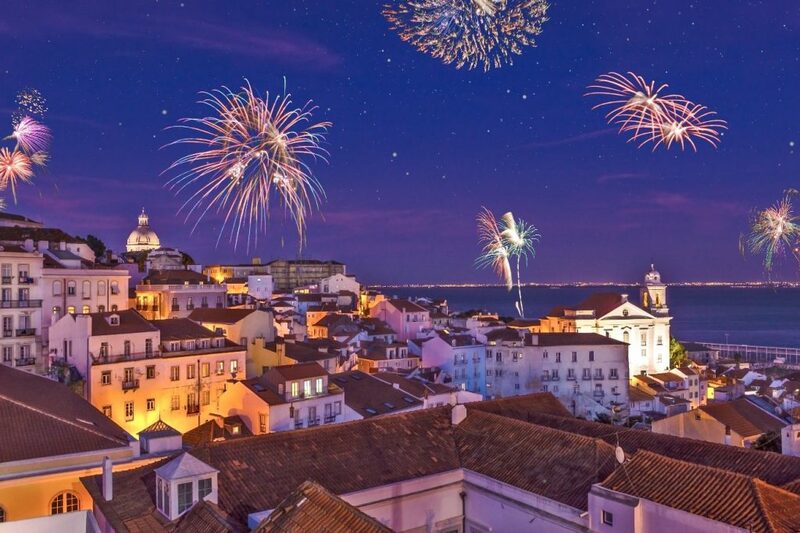 This is what awaits you when you spend New Year’s Eve in Portugal. 2019 is just around the corner, so why not start the new year off on the right foot by taking part in the biggest party of 2018? Choosing the right party venue is a must, as is enjoying plenty of delicious food and getting that bottle of champagne ready to pop at midnight. In Portugal, the New Year is celebrated with all the pomp and circumstance it deserves; here’s a look at what you can expect during your visit. 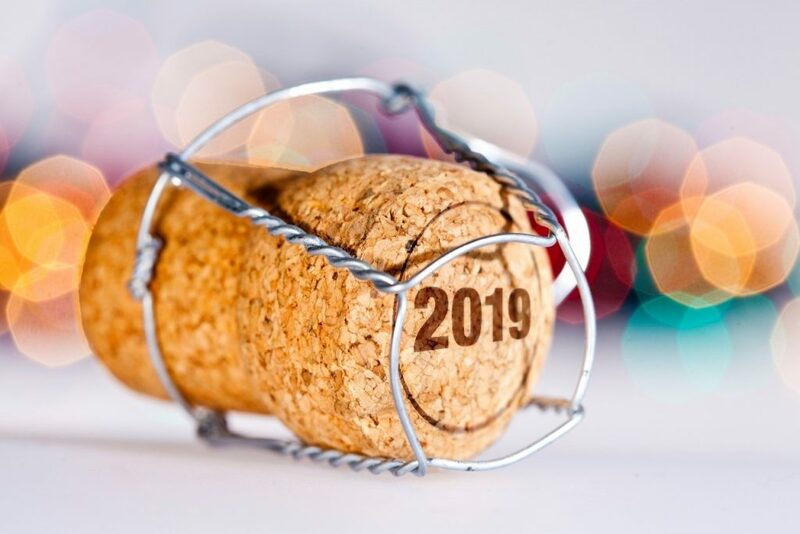 While many Portuguese people like to spend NYE at home with their loved ones, enjoying an evening of food, drink and entertainment, a lot of people prefer to go out for their New Year’s Eve party. The beach is always a popular location, with Nazaré being one of the most sought-after destinations for an NYE celebration. Thousands of people from all over the world gather in this beautiful place to welcome the new year – the fun typically begins on December 30th and ends on January 1st. There will be several stages set up along the boardwalk and even on top of the Sítio da Nazaré, which provides a stunning viewpoint of the fireworks as well as of the Atlantic Ocean. If you prefer a big city celebration, Lisbon and Porto both offer an unforgettable night. From free concerts in the main streets and squares to stunning fireworks displays, you won’t lack for fun stuff to do. In Lisbon, you will be able to enjoy a night of fado before dancing in the streets and welcoming 2019 inspired by the festive spirit of people around you. If you’re in Porto, why not sit down by the river, looking at the magnificent landscape classified as a World Heritage Site with a glass of champagne? There will also be plenty of parties on the water, so you will have the chance to spend NYE on a boat for an unforgettable memory. Many people prefer not to party, heading instead for the mountains to celebrate the New Year. Even if there’s no snow, both Serra da Estrela and Peneda-Gerês provide a more adventurous experience for those seeking a different NYE. Spend a few days on the slopes, hike and experience the tasty cuisine of both these regions – you won’t regret it. You also won’t want to miss out on traditional desserts come New Year’s Eve, so experience delicious dishes such as papos de anjo (literally translated to ‘angel’s double chin’), pão de ló (sponge cake) and pineapple cake. Everyone will also snack on dried fruits throughout the evening while they await the countdown. If you’re at home, you’re probably going to spend a more relaxed evening with family simply eating and talking, watching TV and playing games. Most households will be watching a New Year television special that will culminate in the eagerly awaited countdown. Everyone gets a glass of bubbly ready to toast, and then gathers around the TV to shout out from 10 in unison. Once the clock hits midnight, the first scene you’ll see is a big toast complete with hugs and wishes of a happy year. They will then head to their balcony or garden (or just go outside) to admire the fireworks. Even if you’re celebrating at a venue or outdoors, there will still be plenty of screens to watch the countdown from. After spending an evening singing, dancing, eating and drinking, there’s nothing like gathering with hundreds (or thousands) of others to count down to the New Year – you’ll also have a front row seat to the fantastic fireworks displays that will pop up all over the country. Eat twelve raisins at midnight (one for each stroke of the clock). Alternatively, you can kiss a loved one when the countdown ends. Bang pots and pans while leaning out the window to make as much noise as possible and drive the bad spirits away. Have cash in your pocket to attract riches in the new year. Take a dip in the ocean. This is more of a New Year’s day tradition; it’s certainly not for everyone but, if you’re feeling brave, you can go to the beach and run into the ocean alongside others who also want to start the new year with a (chilly) splash. New Year’s Eve is never a quiet affair in Portugal. There are many traditions to enjoy everywhere in the country, so what are you waiting for? At Pousadas of Portugal, we offer the perfect base for you to explore the area, or simply to relax and enjoy making memories with your family that you’ll never forget.